The Australian international cadet team had its final hit out ahead of the upcoming world championships in Argentina. 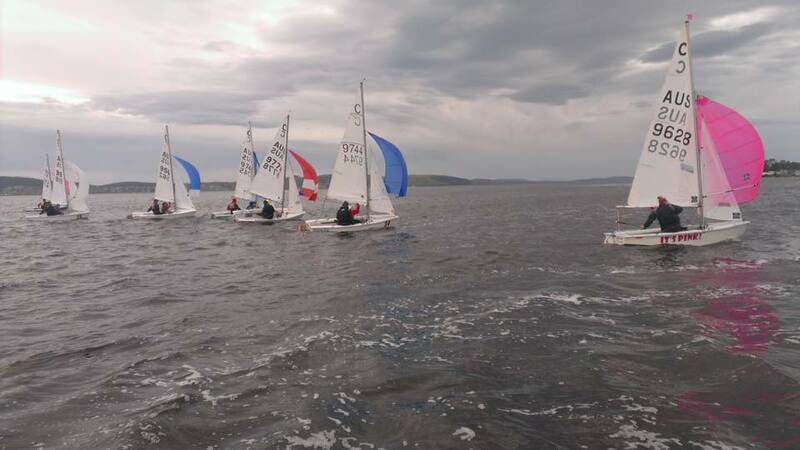 Australia’s international cadet world championship team had its final hit out before the worlds in Argentina at the weekend with an intense training camp held at the Sandy Bay Sailing Club in Hobart, Tasmania. 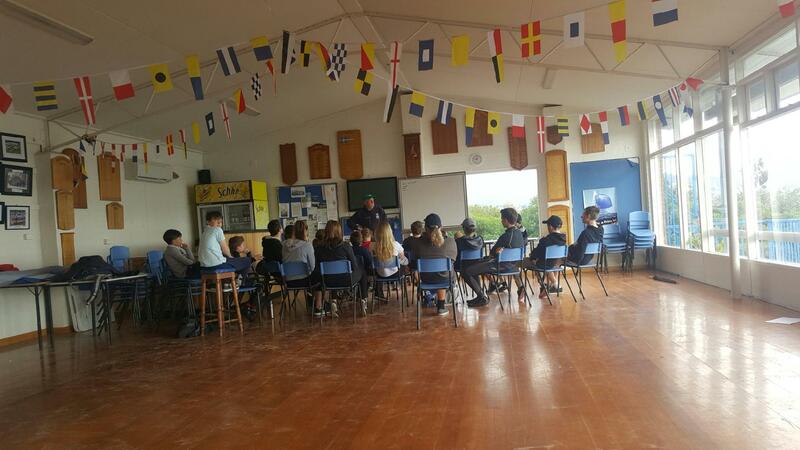 The training camp kicked off on the Friday with a lot of wind, so therefore there was a lot of theory knowledge provided to the sailors by coach Tony Bull. On the Saturday, there was a morning training followed by two club races at Sandy Bay. The Australian team in a theory session with coach Tony Bull. The Sunday training got a little more intense with an early start and about two hours of serious training before strong weather came in that forced the sailors ashore. Coach Bull said he was extremely happy with where the team was at and he was looking forward to getting over to Argentina, as Australia attempts to defend the world championship, which was won by Tasmanians Sam Abel and Hugo Allison in Lake Garda last year. “I’m very pleased with the quality of young sailors we have, they will do themselves and their country proud,” Bull said. The Australian team took part in a three-day training camp on the Derwent River in preparation for the upcoming world championships. After the sailing part of the training camp had finished, each of the pairs on board the Australian boats met with coach Bull individually to set goals in preparation for the world championships. The team, which consists of sailors from right around Australia, also bonded well over the weekend and were presented with their Australian team uniforms at a team dinner on Friday night. The world championship is being hosted by Club Náutico Albatros in Buenos Aires, Argentina and runs from 26 December 2016 through to 4 January 2017. More information can be found at the event website.